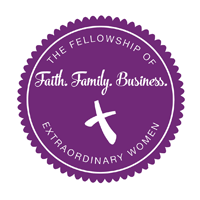 Welcome to the Home of The Fellowship of Extraordinary Women and FEW International Publications! Would you like inspiration, encouragement and tips for living an extraordinary life sent right to your inbox? Join our email tribe! You will also receive updates on FEW Events and FEW Author opportunities. SUSAN BROZEK, M.S.W., L.C.S.W., is Director and Founder of Healing Word Psychotherapy Services, LLC (www.healing-word.com). Her heart isto help people who are hurting. She has been a Licensed Clinical Christian Psychotherapist for nearly twenty years and she has spoken at many conferences. She hosts a monthly TV broadcast on the The NOW Network (www.thenownetwork.org), and a bi-weekly Radio Broadcast called The Way of Healing, which can be heard on Blogtalk Radio. She is a #1 Bestselling Author, and her books include: A FEW Words on Becoming Holy, Whole and Fit, and HEALING WORDS: 30 Devotional Word Studies for Emotional and Spiritual Healing.Susan and her husband, Jeff live in Mequon, Wisconsin. KAREN BRUNO was widowed at age forty after eighteen years of marriage to her high school sweetheart. Her husbandâ€™s physical and mental health struggles ultimately led to his suicide leaving her and their four children to grieve and survive the devastation of their loss. She was serving her church as director of Womenâ€™s ministry at the time sharing her passion for women to live fully and free in Christ. Ministry work has been her heartâ€™s home since her walk with Christ began in her early twenties. Karen has developed and implemented multiple discipleship and mentorship programs for woman of all ages. Having struggled through her teens she has a passion for coming alongside teen girls helping them navigate those years of life. When speaking she utilizes humor and lifeâ€™s adventures coupled with the truth in Godâ€™s word. Her teaching style is relevant, raw and relatable. KATHY CARTER has been a fitness professional since college. Outside of being active with her family, competing in running events, and teaching exercise classes at her favorite clubs, you will find her spreading natural health and wellness through her Zija business. Whether a competition or just for fun, Kathy always gives it her all. Once she realized she had neglected to feed and strengthen the most important part of her body, her soul, it became very important for her to share her testimony with others. Her mission is to help other women become Holy, Whole, and Fit. Visit kathycarter.org to learn more. NEESIE CIESLAK resides in Phoenix , Arizona with her husband, children, and grandchildren. Growing up in poverty, dysfunction, and much loss, she desires to share the love of God and the reality of His healing power. Neesie has experienced Godâ€™s comfort in her life numerous times and prays she can comfort others, as Heâ€™s comforted her. She has been able to speak and encourage thousands of people on their journeys. Neesie has homeschooled her children for twenty years; she enjoys reading, journaling, praying, and worshipping with her family. Reach her here: https://m.facebook.com/Neesie-Grace-Cieslak-1911585768903526. LISA DANEGELIS and her family live in the beautiful state of Wisconsin. She attended a culinary program where she fell in love with and married her instructor thirty-one years ago. Together, they own the prestigious Lee Johnâ€™s Catering. She is also a busy mom of five adopted children and a survivor of wrongly prescribed psychiatric drugs. She has her own YouTube channel and Facebook group to support others on this harrowing journey. In time, she hopes to use her home as a safe haven for those in need. Lisa enjoys gardening, yoga, and writing. You may contact her at: Bakingfever@yahoo.com. 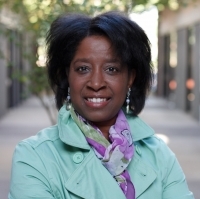 MARLENE DAWSON is a #1 bestselling author and retired special education paraprofessional. Marlene has a deep desire for women to know Godâ€™s healing love, as she knows what courage it takes to face lifeâ€™s painful circumstances. She is part of a ministry team that helps women move forward from difficult situations. 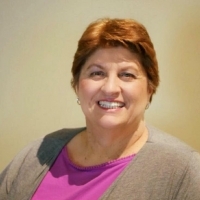 Marlene is a conference speaker who teaches on faith, healing, and prayer. Marlene and her husband, Jim, live in Wisconsin, have four children, and look forward to grandbaby number eight on the way. Marlene enjoys grandparenting, family times, traveling, and writing. To contact Marlene, please visit: marlenedawson.com. From a very young age, TAMARA FINK has always wanted to help people. She began pursuing her dream by getting her Bachelorâ€™s of Science in Psychology and, upon completion of college, she obtained a job in social services helping women become self-sufficient financially. Currently, she is a small business owner who helps people find health through nutrition. Through her adult years, she has weathered many storms, yet her heartâ€™s desire is still to help others become whole in every aspect of their lives; bodies, souls, and spirits. By sharing her journey, she believes others can find their ways to wholeness. Tamara passionately believes that every part of our being must be healthy, in order to lead a full and abundant life. Just like her name means, â€œPalm Tree,â€ she longs to come alongside women and show them the gift of bending, not breaking, and rising up to be stronger than ever, by being deeply rooted in the word of God. You can often find her reading, hiking, or enjoying time with her family. Please visit: tamarafink.com to follow her latest happenings. REBECCA GRAMBORT resides in Merrill, Wisconsin and is one of the many #1 Bestselling female authors with FEW International Publications. She is also a marathoner and enjoys challenging herself by training year-round for long distance races. Her other interests include downhill and cross-country skiing, kayaking, and spending time with her four children. Her current contributions with FEW include: The Ah-Ha Effect, The Miracle Effect, and A FEW Words on Becoming Holy, Whole, & Fit. For more information please visit her website at www.mahmonline.com. For more information please visit her website at www.mahmonline.com. JANE GUFFY is a small business entrepreneur, mother of five, Gigi of four (so far) and has been involved in ministries and organizations aimed at impacting women through fellowship. After years of involvement on school boards, family advocacy organizations, and families in need, Jane has invested the last few years and her resources into creating relationships among women through faith. She believes strongly in building bonds between women (as they journey through the seasons of life) and collaborating, so each womanâ€™s life is meaningful and noteworthy. Jane and her husband, Doug, love building family memories into the next generation. Jacqueline Jaske is a mother of two, a survivor, and an advocate. Writing her breakthrough story is a dream come true. It is written to empower others by sharing how her journey transformed from helplessness to hope. She is thankful every day for the blessings of God, family, and friends. Residing in Menomonee Falls, Wisconsin, she enjoys the lake, the outdoors, hiking, and kickboxing. Additionally, Jacqueline is a public speaker with the Wisconsin Department of Justice to help in the training of Initial Responders. You can learn more by contacting Jaqueline at newendings11@gmail.com. Jackieâ€™s son, Zack, whom youâ€™ll meet in her story, is today a compassionate First Responder working on his Bachelor of Science degree in Kinesiology and Doctor of Chiropractic, and - always - her gift. 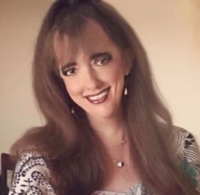 Joni Jones has the overwhelming passion to share the hope, peace, and love of the Lord, that saved her from a life long battle of poor body image and the stronghold of bulimia. 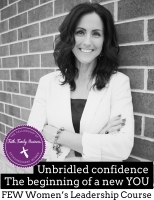 She is the author of the books The Breakthrough Effect & Weightless Flying Free, and the founder of Be Waitless Ministries, LLC, that encourages women to live out the word of God in everyday life. Joni is a conference speaker, daily devotional blogger and Certified Biblical Counselor.She loves being a wife, mother of three adult children,and a â€œJojoâ€ to her grandchildren, at the New Jersey shore. Visit her website at www.bewaitless.com. REJI LABERJE is the Writing and Publishing Coach for FEW. Sheâ€™s published more than fifty books and plays, traditionally and independently, including nine #1 Bestsellers. Reji has helped nearly fifty authors become #1 Bestsellers. She teaches, writes, edits, consults and coaches, does layout, and markets for traditional and nontraditional publishers, classes, and authors of sportswriting, biography, leadership, juvenile fiction and nonfiction, self- improvement, Christian writing, and playwriting. While in her third decade as a writer, her roles in the industry pale to those of Christian, veteran, wife, and mother. With her close-knit family, friends, and loved ones, she enjoys service, music, lake life, theatre, games, camping, football (Go Bears! ), travel, her pets, and life in beautiful Wisconsin. 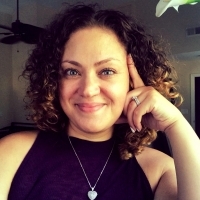 Learn more about Reji, her books, writing coaching, and her online courses at: www.bucketlisttobookshelf.com. Luanne Nelson is a #1 Best-Selling Author, ordained minister, motivational speaker, wife and mother. She studied English Literature at Westminster College in Pennsylvania and Journalism at Marquette University. Her love of Jesus Christ and her enthusiasm for Godâ€™s Word is apparent in both her writing and her joy-filled street ministries. She has been through many adversities and knows the healing grace of God. Her hobbies include gardening, piano composition, photography and antiquing. Visit www.LuanneNelson.com for more information. 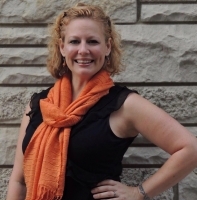 Amy Sikkema is a widow and mom of two busy boys and one spunky little girl. Grand Rapids Michigan is where she resides and eagerly serves Jesus. Her passion for reaching out to the lost and hurting has led her to her calling. Writing, blogging, and speaking the good news of hope and Godâ€™s promises are her mission. 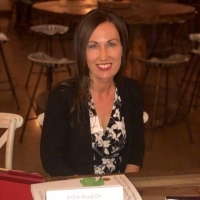 Amy serves on the board of the no-profit organization â€œShields of Hope- West Michiganâ€ where she walks alongside families who are battling cancer. In her down time Amy enjoys camping, sunsets over Lake Michigan, and gathering friends and family around bonfiresin her backyard. You can follow Amy at amysikkema.com or on Facebook- search Sikkemastrong. DANELLE SKINNER loves her family tremendously. They inspire her to become her best. She says, "I am very much a work-in-progress." She studies Jesus and His ways in the Bible to become kinder, more patient, and more love-focused. It is there Jesus helps her on her journey to become a better version of herself. Changing her little by little from the inside out. She wants to encourage you to dig into His word, unpacking what it means for your life today, not just for eternity in Heaven. It will put life into your mind, body and soul. Glory to Him! Find Danelle on Facebook and reach her by email at: SayYesToTheJourney@gmail.com.